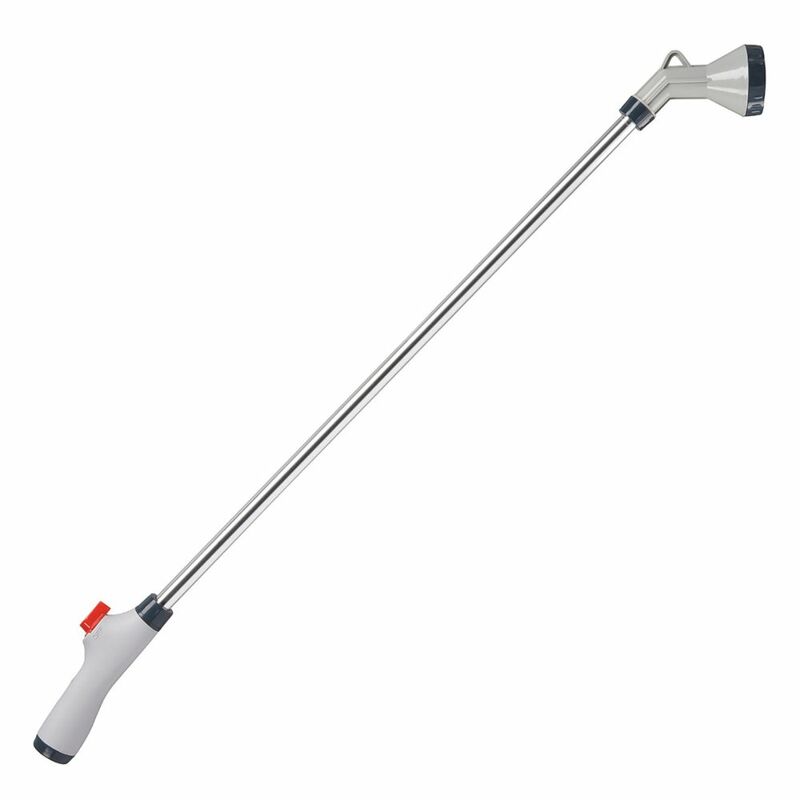 33 Inch shower watering wand with built in flow control on comfort grip. Gentle watering for new plants and flowers. Easily reaches into flower beds and hanging flower pots. 33-inch Shower Spray Wand 33 Inch shower watering wand with built in flow control on comfort grip. Gentle watering for new plants and flowers.